Cargomaster Lifting Slings provide the ideal solution for your lifting requirements. conform to the European lifting sling standard EN1492: 2000, giving a 7:1 Safety Factor. Each sling is numbered for traceability and is supplied with a certificate of conformity & CE marked. 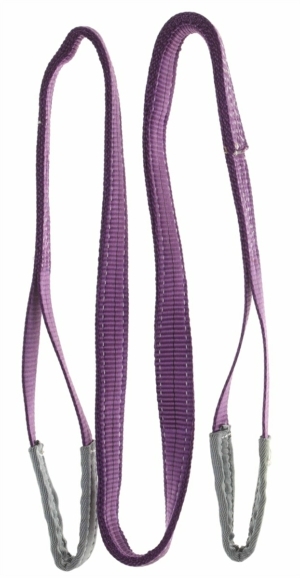 Our Lifting Slings are manufactured using double thickness 100% polyester webbing produced from high tenacity yarns. All our Lifting Slings are marked with Working load limits. Both Round Slings and Duplex Slings are offered.